Evoke is the skill of friendship, inspiration, and seduction. While Contacts focuses on the friends you already have, Evoke judges your ability to make new connections and friends. Characters with a high Evoke are often skilled orators, knowing how to effectively move a crowd; but unlike Deceive, Evoke comes from honest emotion, as the orator talks about something that they believe in, or offers promises that they intend to keep. Alternatively, a skilled Evoker may be an artist, using a musical or dance performance to stir the emotions in an audience. It is the opposite of Provoke, which brings out the negative emotions in others. Remember: Just because a character is filled with positive emotions doesn’t make them “good.” Many tyrants and zealots have killed out of love. Evoke may be used to overcome simple NPCs that stand in your way, by using your words and body language to befriend or convince them you are on their side. Evoke may also be used to remove negative emotional aspects placed on other characters, a group or a scene, such as aspects about fear, depression, or anger. They may not be used to remove aspects placed on yourself or heal consequences without additional stunts. The target opposes with Will. Evoke may be used to place positive emotional aspects on characters and scenes, such as giving a teammate a Boost of Morale, or telling a joke to a crowd to Lighten the Mood. It generally cannot be used to discover hidden aspects on a character (this is better done with Empathy). The target opposes with Will. In mental conflicts, Evoke may be used to “attack” other characters – rather than dealing physical or emotional harm to the defender, it signifies your efforts to seek a compromise and erode away the defender’s will to fight. Any consequences you deal would be themed around the opponent sympathizing with your ideal (ex. He’s Got a Point), feeling an attachment to you (ex. 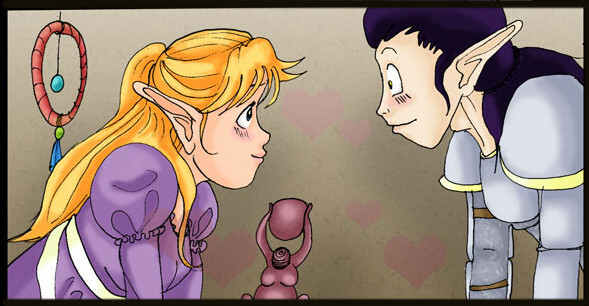 Crush on the Enemy), or trusting you implicitly (ex. I Can Trust This Guy!). Characters defend against Evoke with Will. Like Provoke, you may only use Evoke to attack if you have had a previous opportunity to discover a weakness or establish a short relationship with the target (ex. You have used Empathy to discover what positively motivates the defender). Evoke does not grant any defense without stunts. A rare day for Morf. Provoke – Just as Evoke lets you overcome negative emotional aspects from others, Provoke gains the ability to remove positive emotional aspects placed on other characters and on scenes. Animals – If your setting includes a nature-themed skill (ex. Survival, Wilderness), Evoke cannot be used to deal mental stress to animals; instead, Survival/Wilderness gains the ability to deal mental stress to animals as if it were Evoke. Characters may still use Evoke to create aspects on animals as normal. A great example of Evoke in popular media is the Sir Didymus scene in the Labyrinth. When attempting to cross a bridge, Sir Didymus stands in their way, refusing to let them pass. An attempt to fight him in hand-to-hand fails to remove him; however, it did succeed to winning his respect, and it did reveal more of his personality. He is not a bully hindering them out of spite, but an honor-bound knight. This is where Evoke comes into play. Sarah politely asks him what the exact words of the oath he swore, to which he replies, “that none may pass without his permission.” Sarah then does what none have done before: ask for his permission. A confused Sir Didymus gladly grants it. She overcame Sir Didymus because she appealed to what he cared about most: his honor. Fueled by her earnest love of her brother, she used a combination of logic and courtesy to weaken her opponent’s resistance. She used a positive interaction to remove an obstacle and, as a bonus, gain an ally. I’m Good Enough, I’m Smart Enough, and Gosh-Darnit, People Like Me! – You may use Evoke to overcome negative emotional aspects placed on yourself. It may not be used to overcome consequences. Also, once per session, you may attempt to place a positive emotional aspect on yourself as you attempt to psych yourself up. Laughter is the Best Medicine – You may use Evoke instead of Empathy when you are helping other characters to recover from mental consequences. You may not use it to heal yourself. I’ll Play the Good Cop – If one of your teammates has successfully used Provoke or Intimidate this scene to deal mental stress to an enemy character, any of your successful Evoke attacks against that character deal an additional two mental stress. Siren’s Call – Whenever one of your Evoke attacks takes an opponent out during a conflict, you have effectively hypnotized the target. After the conflict, you may make the character go to sleep, forget recent events, talk about anything, and/or carry out simple commands. However, the character will not do anything to harm themselves or others. Love is Stronger – Whenever you use Evoke to create a positive aspect on a character or scene, and someone attempts to use Provoke to overcome it, you can use Evoke to actively oppose the roll. Incurable Optimist – Your natural positivity is your best defense. When another character attacks you using Provoke or Intimidate, you may defend with Evoke instead of Will. Remember that Place with the Thing? – Contacts – Whenever you use Contacts to create a character, you may use Contacts as if it were Evoke to deal positive mental stress to that character. This represents you weakening their resistance with stories about mutual friends and the good times you used to have. Would I Lie to You? – Deceive – You may use Deceive as if it were Evoke to positive mental stress to a character. However, the target may defend with Will or with Empathy. Once they have successfully defended against one of your attacks (i.e. one of your attacks fails to either deal stress or to tie), that character gains the aspect “I See Through Your Lies.” While that aspect is on that character, you may not use Deceive to attack it. Want for Nothing – Resources – You have everything that could make you happy. When an opponent uses Evoke to attack you, by attempting to bribe you with promises, you may defend with Resources instead of Will. Iron Resolve – Will – Your ideals are unshakable. You gain +2 Will when defending against Evoke attacks. 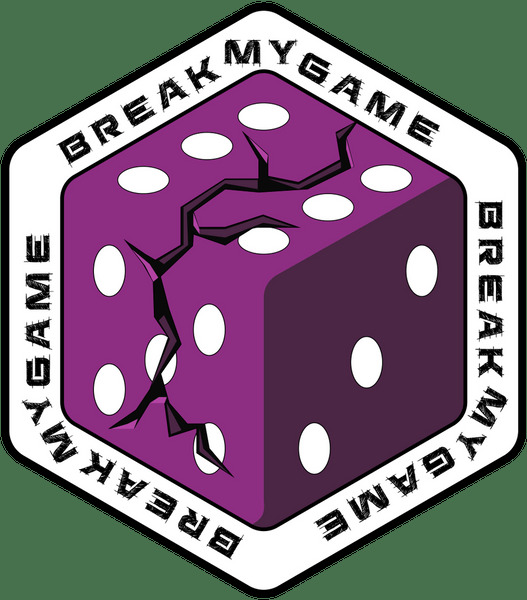 Hate is Stronger – Provoke – Whenever you use Provoke to create a negative aspect on a character or scene, and someone attempts to use Evoke to overcome it, you can use Provoke to actively oppose the roll. I’m Not a Pessimist, I’m a Realist – You don’t just induce negative emotions, you embody them. When another character attacks you using Evoke, you may defend with Provoke instead of Will. That’s it for this week! Next week, I’ll be exploring Evoke some more, and possibly giving you more sneak-peeks of the Kickstarter launching month, Fate Accompli! This week, we’re going to take a small break from games and go over some of the fun of Awesome-Con. Nowadays, Tangent Artists sells everything; original novels, fan art, comedic game guides like “The Handbook for Saucy Bards” and “The Cleric’s Guide to Smiting,” and soon will be including original games. However, when Tangent Artists first formed about eight or so years ago, all we did was comics. We had only one double-sized comic to sell, and had hit a few small Anime conventions with it, and it fairly well. Then, we hit Baltimore Comic Con. I bare no ill will to BCC, but it did not go well. All we got that weekend was comments on how our artist’s style was not like “normal” style. It didn’t matter that one of the comics was essentially an undead superhero comic, it didn’t “look” like a superhero book, so hardly anyone was interested. For this reason, we generally stuck to Anime conventions for quite awhile, and they still continue to be our best selling spots. 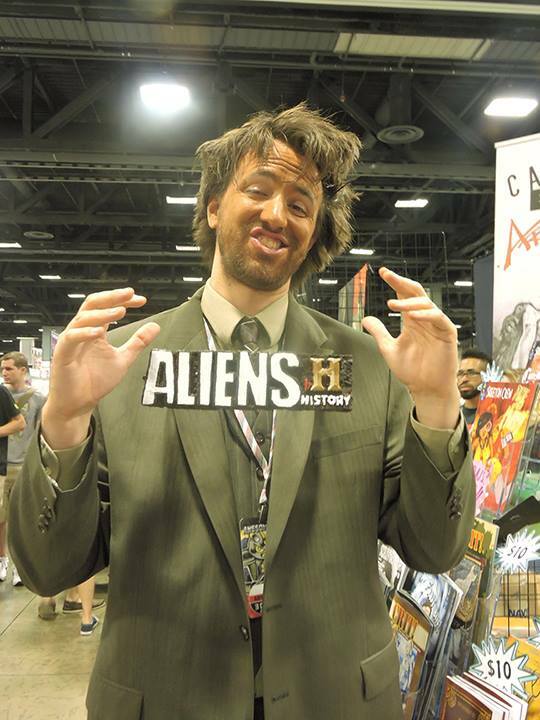 When we started writing our fantasy comic CRIT!, we started hitting the Fantasy & Sci-Fi cons as well. Over the years, however, I’ve noticed something: the cons are blending together. The best selling prints we’ve peddled at Anime cons is our Doctor Who stuff. Cosplayers, which used to primarily frequent Anime conventions, are now showing up everywhere. (Now, there’s a chance it’s the decedent of Masquerade from fantasy cons of ’80s, but I suspect it’s actually a form of parallel evolution.) Even the subject of cosplay has broadened from Anime to all sorts: live-action shows, video games, rock stars, even internet memes. Case in point, I got a lot of positive feedback walking around with this for two days. I’m not saying it’s aliens, but it’s aliens. Likewise, many new conventions realize that the cons are becoming less specific and more a celebration of everything-nerd. Awesome-Con seems to embrace this, giving no real specifics about what type of convention it is, having guests from cartoons, WWE wrestling, Mythbusters, Star Trek, and Power Rangers. Last year, I had the pleasure of attending AwesomeCon as an attendee with some good friends, and had an absolute blast. They accepted our application for Artists Alley, and we jumped at the chance. I also was lucky enough to test the fighting card game “Mahou Shojo” by DeerFox Games. Their Kickstarter just ended, and after playing one round of this game, I went straight home and bought the starter pack. This is going to be a game to watch. 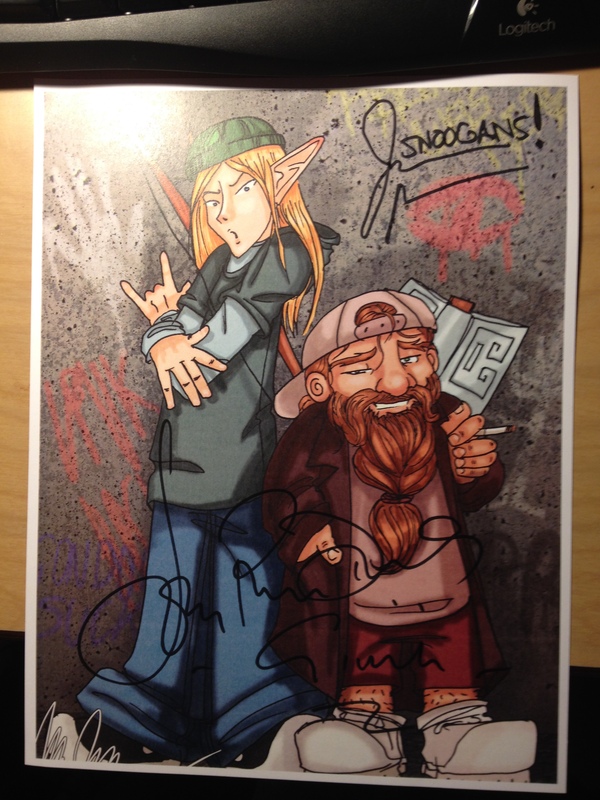 That wraps most of this week up, except I had the pleasure to get our group’s infamous “Legolas and Silent G” print signed by none other than John Rhys-Davis and… Jason Mewes?!? 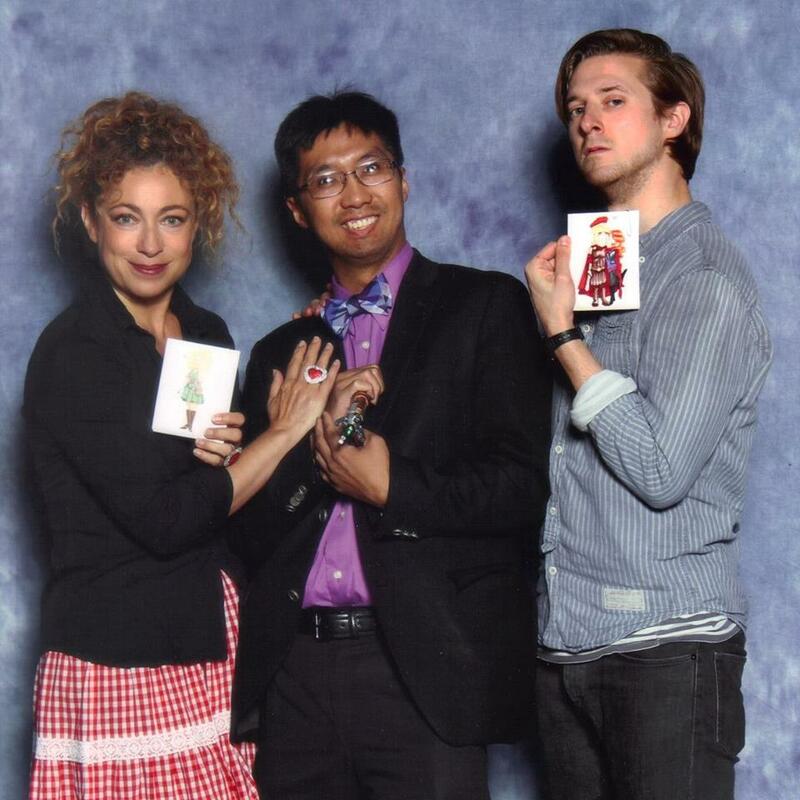 got a picture of Whovian actors Alex Kingston & Arthur Darvill posing with mini-prints of them. Hope they liked them!